It isn't free, but it's close...If having this book saves you 1 tick in the commodity option markets, you have almost recouped your investment. Trading commodities is "hot", as Jim Rogers would say. Stagnant stocks and massive bear market in raw commodities have lured much of the attention away from Wall Street and toward down-town Chicago. It is difficult to turn on the television or open the newspaper without being reminded of the impact that commodity prices have on our daily lives. With most of the major commodity index readings are near historical lows, now might be the best time to consider investments in the commodity markets, or at least speculative trading in commodity futures and options. Commodity traders are starving for simply written and comprehensive information on commodity speculation through options. Unfortunately, most option trading literature is focused on the equity markets. There are very few books written that cater to commodity option traders and even fewer that are capable of pointing out the differences between the two arenas and guiding traders through the transition from stocks to commodities. This is that book. Trading Commodity Options is a must have resource, written by an experienced commodity option broker, for those attempting to profit from the ever-evolving commodity markets. Although the content is challenging, the language and organization avoids the normal levels of frustration that often comes with this type book. Trading Commodity Options will take the reader on a journey through the nature of the commodity markets; from there the reader will be introduced to standard commodity options theory and work their way through complex options on futures strategies and concepts such as Iron Condors, Butterflies and Ratio spreads. Visit www.CommodityOptionstheBook.com for more details! Options are eroding assets; therefore, it isn't necessarily wise to spend a substantial amount of money to purchase an option that will face depreciation, as well as dismal odds of success. Instead, it is often a better idea to sell options of different types or strike prices to pay for those that you would like to purchase. A put ratio spread does just that. A trader that is interested in buying a put option in hopes of a market decline, or to simply protect other positions in their trading portfolio, may finance their purchase through the sale of two distant strike priced puts. Here are the details of a put option ratio spread. • Low Cash Outlay in Exchange for Downside Risk - The objective is to put this trade on as a credit, a free trade or very cheap. This occurs when a trader collects more premium for the short options that is put forth for the long options. Free does not entail a lack of transaction costs, margin or risk. • Limited Profit Potential, but Unlimited Risk - Profit on the down side is limited to the difference between the long and short puts plus the net credit or minus the net debit. The risk is theoretifcally unlimited on the downside. What is the Risk of Trading a Put Ratio Write? Perhaps one of the most opportune markets to employ a put ratio spread strategy in the futures market is in the stock indices. This is because of a concept known as the “volatility smile” which tends to keep the value of puts, particularly deep out-of-the-money puts, overvalued. This is because traders know equity markets tend to take the stairs up, but the elevator down. It is a market than can, and will, see precipitous declines from time to time; accordingly, speculators are willing to bid the price of puts higher to increase their odds of being at the right place at a the right time. Compliments of the volatility smile, it is often possible to construct a put ratio spread strategy using the e-mini S&P futures options providing the trader with a relatively large profit zone at little cost, or maybe even a credit. For instance, with the e-mini S&P 500 futures price near 2185 it might have been possible to purchase a 2050 put with roughly 60 days to option expiration for 32.00 points, or $1,600. The dollar amount is determined by multiplying the premium by $50 (32.00 x $50 = $1,600). Obviously paying $1,600 for a single option speculation is a rather expensive venture. A trader might opt to finance the purchase of the 2050 put with the sale of 2 1980 puts for 17.00 per option, or 34.00 points. We now know that the dollar value is figured by multiplying the premium by $50; accordingly, selling the 1980 puts would bring in a total premium of $1,700. This creates a credit of $100 to the trader. Simply put, the “market” is paying the trader $100 to participate. A put ratio spread such as this one be used by the bears as a way to enter the market without the immediate risk that comes with the strategy of selling a futures contract. Put ratio spreads might also be used as a means of hedging existing bullish strategies, in this case it can often be looked at as cheap insurance. For example, a trader that is short a put outright faces unlimited risk, but adding a ratio spread beneath it can be a way to cheaply hedge some of the downside risk. However, this insurance policy has a deductible in the form of downside price risk should the market drop extremely sharply. Let us explain the mechanics by looking at the recommended trade in detail. Keep in mind that while this trade does face unlimited risk, the risk is distant from the market price at the time of entry. This is in stark contrast to the risk faced by a futures trader. I have learned that you can never underestimate the markets, but the odds of a 142 point drop in the e-mini S&P in the next 60 days prior to option expiration, isn’t necessarily high. As mentioned above, this trade can be used as an insurance policy. I have been known to point clients toward a trade similar to this one as a means of providing a quasi-hedge against short put positions that are under pressure. At expiration, this spread insures a move below 2050.00 to 1980.00 tick for tick. As explained, below 1980.00 the trade gives back profits...thus the insurance policy begins to become less valuable. Below 1908, the trade that was intended to be a hedge short put options, now becomes a burden that results in even more losses. Therefore, when using ratio spread as a means of risk management you should be aware of major support and resistance levels and place the strike prices of the spread accordingly. You don’t want your “cheap” risk management technique to become an expensive lesson. It is important to note that a ratio spread can sometimes involve unintended consequences at any point prior to expiration. At option expiration, there is no time value in the options and the profit and loss will be strictly dependent on the aforementioned calculations. Nevertheless, due to the time value still present in the option premium, it is possible for a spike in volatility to create a scenario in which the combined value of the short puts gain in value faster than that of the long put. In other words, it is possible for the market to move in the anticipated direction but create a loss to the trader. Assuming that the futures contract is trading above the reverse break even at expiration the losses will be only temporary; however it is never fun to be a part of an explosion in volatility which turns a good directional speculation into a losing trade. Ratio spreads can be a powerful trading tool but proper construction and execution are key in producing favorable results. Poor timing in terms of volatility and price, along with incorrect strike price placement, might result in a very unpleasant trading experience. The term synthetic is often used to describe a manmade object designed to imitate or replicate some other object. Futures and options traders can do the same thing by creating a trading vehicle through a combination of futures and options to replicate another trading instrument. You may be asking yourself; why you would go through the hassle of mimicking an instrument instead of simply trading the original? The answer is simple, as the creator of the vehicle, we can customize it to better suit our needs as well as design it to better take advantage of the underlying market. Through the creation of a synthetic position, you can actually decrease your delta as well as, in my opinion, increase the odds of success. Let's take a look at an example of a long synthetic put option. A commodity trader looking to profit from a decrease in prices but isn't confident enough in the speculation to sell a futures contract, or even construct an aggressive option spread, might look to a synthetic put. A synthetic put option strategy has nearly identical risk and reward potential as an outright put option, making it a potentially expensive proposition. However, if the volatility and premium are right it can be a great way to sell a futures contract, while retaining a piece of mind, and the ability to easily adjust the position because the purchased call option provides an absolute hedge of risk above the strike price. A trader that is bearish on the U.S. dollar might opt to sell a dollar index futures contract near 96.60 in hopes of weakness. Should the trader prefer to have limited risk, and be willing to pay an “insurance” premium for protection, might purchase a 97.00 call option for 60 ticks, or $600, because each tick in the dollar index futures and options is worth $10 to a commodity trader. With a synthetic put option in place, the trader can sleep at night knowing the worst case scenario is a loss equivalent to the distance between the future entry price and the strike price of the call option, in this case $400 ((97.00-96.60) x $10), plus the cost of the long option purchased to insure the trade, or $600 (60 x $10). The payout of this trade at expiration may be identical to a long put option, but the flexibility provided to the trader is unmatched. Unlike a long put, a synthetic long put can be pulled apart prior to expiration in an attempt to capitalize on market moves. Please note that doing so greatly alters the profit and loss diagram. An example of an adjustment may be to take a profit on the short futures contract and hold the long call in hopes of a subsequent market rally and the possibility of being profitable on both the futures position and the long option. Or, should the trade go terribly wrong from the beginning a trader may look to take a profit on the long call and hold the short futures in hopes of a reversal. Doing so would eliminate the insurance of the long call and leave the trader open for unlimited risk on the upside, but may be justified if the circumstances are right. 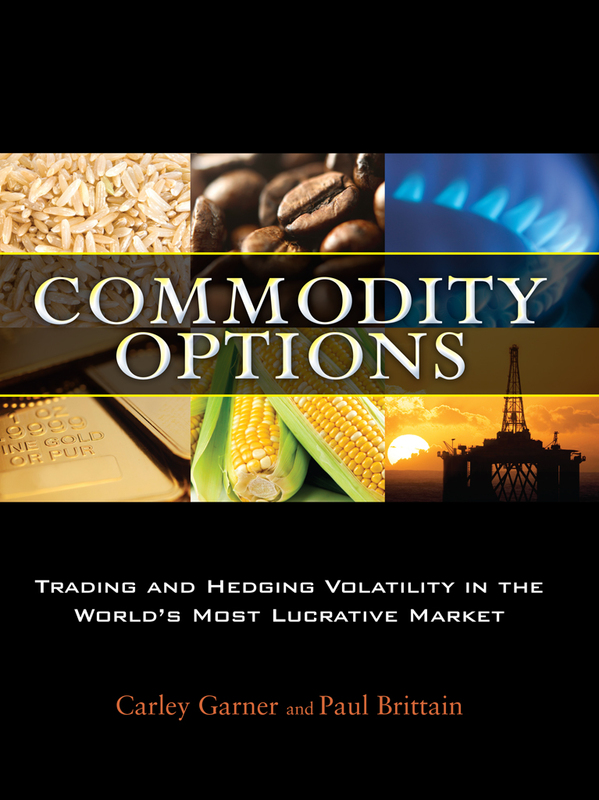 If you are in search of a commodity options book that features this option trading strategy, and others, visit www.CommodityOptionstheBook.com.